As your Acura dealers serving Long Island, we want to help you use our dealership services to their full potential. That being said, today, we are going to elaborate on the information and many tools on our website that can make your dealership experience faster and easier. When you’re ready for car shopping or vehicle service and repairs, you can count on us at Acura of Huntington. If you’re in the market for a new Acura vehicle near Bayshore, NY, you can start browsing our inventory right here on our website. There’s even a customization tool that lets you refine your results to display the models that meet your specific needs, whether it be a particular year, body style, or engine. You may also use our Acura model comparison to see how a few of our vehicles differ if you’re stuck between two or three. If you want to make a trade with your current vehicle, take advantage of our Value Your Trade tool to get an instant estimate! For those on a budget, our website shares the details on our special programs and new vehicle offers. Once you have a few vehicles in mind, you might even want to use our payment calculator to see how they fit into your new car budget. We also implement a finance application that is secure and easy to use, allowing you to see where you stand in terms of finance before you visit our dealership. When it comes to Acura service, you’re able to view our current specials on and even make an appointment. We also have information on recalls and the ability to order parts on the web too. And that’s not all! Take a look at what else we have to offer right here on our website. 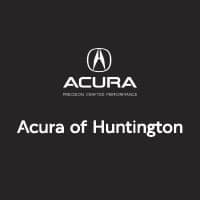 We look forward to working with you at our Acura dealership in Huntington Station today!